A lot of people jumpstart their day with a cup of coffee. 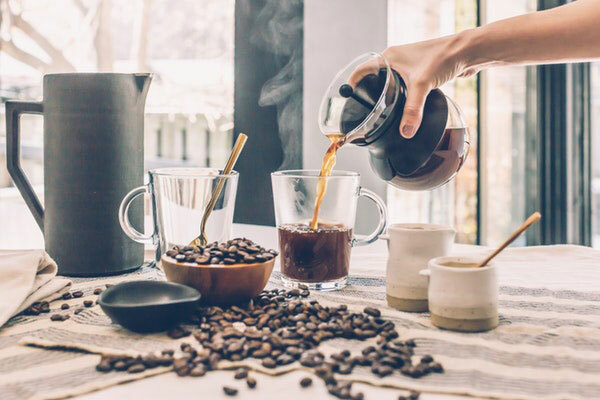 While there are some disadvantages of caffeine and coffee to our heart and body, its benefits as an anti-oxidant continues to be glorified as well. 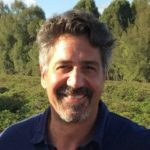 Andrew Salisbury, the founder of Purity Coffee, amazingly took the step to maximize those health benefits in coffee and that’s what he wants to share with us today. He also tells us the story of how his quest for the best coffee for his wife led him to come up with the finest coffee in the world. We’re going to give you the green light to drink coffee, but this isn’t just any coffee. This is the best coffee in the world. This coffee episode is the first episode I’ve done on coffee. I think you’re going to get some tremendous value out there. If you’re a coffee drinker, stay tuned. I’m not sure that if you’re not drinking coffee that I’m going to encourage you to start, but let me say this, if you’re a coffee drinker, this is what you want. I grew up on Maxwell House and Folgers and I know that my guest right now, the Founder of Purity Coffee and PurityCoffee.com, he’s cringing as I said Maxwell House and Folgers in the big tin can. That’s how I grew up. That’s probably how you grew up as well, right, Andrew? I actually grew up with instant coffee. In England, they only drink instant coffee. We used to only drink instant coffee. It’s was even worse. No doubt, some of those instants back then and they tasted absolutely horrible as well. People love that quickie opportunity. My guest here once again is Andrew Salisbury. He’s from Purity Coffee and he’s going to tell us the story of how he came up with the finest coffee in the world. Andrew, tell us a little bit about your backstory and then how you started Purity. I’ve never been in the coffee business until about a couple of years ago. I was in the software business in Latin America. This all came about because my wife was starting to experience some health issues, just very low energy. It didn’t turn into anything super serious, but the real issue was she was drinking a lot of coffee like most of us do to self-medicate, give us some energy. At the time, as you can tell by my accent, I’m an English man, I’m a bit of a tea drinker. I never drank a lot of coffee and I felt like maybe she was putting one foot on the accelerator, one foot on the brake. My concern was too much coffee. Is it good for her? As I started getting into the health benefits of coffee and trying to understand whether it was good or bad for her, what I found out is that the health benefits of coffee are profound. Initially, it started with two professors at the Institute of Coffee Studies at Vanderbilt. They then introduced me to Adriana Farah, who was one of the leading scientists in the world on coffee. We started looking at what made coffee healthy and what we could do differently. Your wife has low energy and a lot of times people would say that coffee, caffeine leads to adrenal issues, adrenal dysfunction. How would you address people’s concerns about that right off the bat? The one thing you need to be conscious about is that people conflate coffee and caffeine in the same sentence and they look at it and they say coffee is caffeine, caffeine is coffee, but really there are two things going at work with coffee. One is caffeine. The other is chlorogenic acid, the antioxidants. You want a lot of antioxidants but you don’t want a lot of the caffeine. What we focused on is giving you a very pure cup of coffee with the least amount of caffeine for the most amount of antioxidants, no pesticides, no mold or anything else like that. Some of the strain on people’s bodies is often the fact that they’re drinking poor quality coffee and it’s not necessarily the coffee itself. Maybe the reasons why they’re reaching for coffee is they probably have poor sleep, they have a poor lifestyle and therefore they’re using coffee and caffeine as a pick me up and certainly all those things are probably more linked with adrenal fatigue as for the coffee in and of itself. My wife and I can argue about this and truth be told, my wife is not a coffee fan. She’s not a caffeine fan. I totally get that. I know that coffee/caffeine can certainly be addictive. We try and look for negative things about coffee/caffeine. There may be some, but yet the medical literature supports the use of coffee. You guys have done tremendous research on your own with original data from the people that you work with and then in the medical literature. One of my best friends is a cancer doctor on the East Coast and he’s a very well-known doctor, very well respected. As much as I bashed caffeine and coffee over the years, he sends me articles every day about the glories of coffee and caffeine. Once again, if you’re going to be drinking caffeine and there’s a tremendous cardiovascular benefit to it, you want to drink the best in the world. Let me say one more point as well, if you do have some health issues, whether it’s palpitation, racing heart issues, high blood pressure, maybe look into caffeine in general. Let me get back to you Andrew. Tell me what was the goal when you guys set out to find the best coffee? What were you looking to do? Purity Coffee: More than worrying about molds in coffee, coffee needs to be organic, to be specialty grade, and lab tests for antioxidants. Initially, my goal was pretty simple. I was very curious and I wanted to find the best coffee for my wife. It was a conversation with these professors. Now, I understand what’s going to make an impact on the coffee. In other words, it needs to be high altitude, it needs to be organic. There are all these benefits, all these features. My next question was where do I buy this coffee? What surprised me is that nobody was focusing on coffee purely for health benefits. No one was paying attention to maximizing those health benefits in the coffee. The initial a-ha moment for me was realizing that there was this potentially large market segment that was being unrealized just because people were ignoring the health benefits of coffee as I’m motivated by coffee. My first test is I want to see if I can make a difference, see if I could do anything to impact the health benefits. What you were essentially going out to do was to find the coffee with the highest level of antioxidants. You told me that there was no concern about price. There was no concern about sourcing. It was just about finding the beans with the highest source of antioxidants. It was out of curiosity. We said regardless of the price, regardless of the taste, I want to find a coffee which is best for you. Initially, I thought this would be a search for the coffee. We would find one plantation somewhere in Brazil or somewhere in Indonesia that had the highest level of antioxidants. What I learned early on is the amount of antioxidant in coffee vary from crop to crop, region to region, season to season, rainfall. The only way to find a coffee with the highest in antioxidants was to lab test 40 or so organic coffees from around the world and see which was the highest in antioxidants that season. Many antioxidants are so important for cardiovascular health, anti-cancer, anti-dementia, blood pressure, circulation, inflammation, all that stuff is going to be greatly impacted. Your coffee is certainly a higher price compared to the aforementioned brands that we talked about. As far as other premium coffees, you guys are right in line. There are no issues with that at all. The taste is absolutely spectacular. I grew up drinking coffee for better, for worse, I get it. I know organic coffee. Tell me the problem with pesticides and crops and what is that doing to the coffee industry? Coffee is one of the most heavily treated crops on the planet. Next to tobacco and cotton, it’s the most heavily treated crop. The problem is often it’s treated in countries that don’t have the same level of oversight that you would in the US. If you are producing coffee or producing a product in the US, you need to have strict oversight on the type of herbicides and pesticides used. That’s not true in Latin America or Indonesia. The quantity of pesticides and the quality of pesticides is a real issue. That’s why organic has to be a starting point. It makes perfect sense. All these pesticides kill the bugs. They kill our gut bugs as far as I’m concerned, causing leaky gut. Is there any danger of coffee now or in the future becoming genetically modified as a crop? Obviously, in the future, the answer is yes. I think so. There’s certainly a plan with Robusta coffee, which is the cheaper coffee to do that. They’ve also done some work on Arabica, which is what we’re looking at now. As you know with global warming, there are some real threats to coffee production around the world. There’s no doubt there’s going to be more genetically modified coffee plants to deal with changing weather conditions. A lot of people talk about mold that’s in coffee, mycotoxins that are there. How can we test for mold and is this a problem among most coffees or the organic coffees? Which coffees have the mold in there? It’s the old coffees that you have to be aware of. Your coffee should be lab tested for molds. The real source of danger or the real culprits that creates the mold is the fact that in the coffee production there are lots of water that’s used to clean coffee. Also, in certain areas where they intentionally spray coffee with water. For example, once the coffee is dried and it’s ready to be shipped, the farmers get paid based on the weights. It’s not unusual they will spray these big amounts of coffee with water because the coffee will absorb the water and they’ll get more money for their crop. You’ve got coffee that’s traveling across the ocean for the next month or so that’s moist and is likely to get mold. There’s a real issue with mold. Your coffee should be tested for mold. There’s another area, it’s not just generic mold, it’s ochratoxin A, which is something that doesn’t burn away in the roast. There’s a high level of coffee, probably around the 20% to 30% of coffees that we’ve tested have ochratoxin A, which is a mold that has been very resilient to roasting, so it’s not burnt away. That’s a high amount. Do organic coffees, in general, have less? If I go to my natural grocer or order online, would it be safe to assume? What you’re saying is you can’t assume anything. It’s got to be from a company that is actually doing the mold testing on the product. It’s directly linked to quality and the way that the coffee is treated and not necessarily that it’s organic. Chances are if you’ve got an organic coffee, they’re paying more attention to the way that the coffee is handled. In reality, it’s no guarantee, that’s the problem. I haven’t tried your decaf variety. Maybe talk about the decaffeination process. On the internet, you can find out about the Swiss mountain decaffeination process. It’s a beautiful video of how it’s well done. I can’t figure out how you leave in all the flavor. You leave in everything in there, all the antioxidants, everything stays, but you’ve removed the caffeine. Can you give me a little bullet capsule in how that’s done? It’s an interesting process. We use Swiss water and the reason we use the Swiss water process is that there are four methods to decaffeinate coffee. The first two methods use chemicals, which isn’t a good way for you to have decaf. They also leech the antioxidants from the coffee. The other two methods, Swiss water and critical CO2, which is only done in Germany, are the healthiest methods. What we did is we tested both of those to make sure that the levels of antioxidants in the coffee remain after the decaffeination process. Effectively Swiss water is soaking it in water and the caffeine leeches out of the decaf and it’s then dried. It’s a very interesting process. It works very well and it’s something that there’s no real difference for us. We found that the flavor is as good as Swiss water as it is with critical CO2. Purity Coffee is the finest coffee that I’ve ever seen. The testing and everything behind it. Many doctors have gravitated behind your product as well. That’s a testament to what you guys are doing and how you’re putting it out there. One of the things that as a cardiologist concerns me and my patients is the risk of myocardial infarction for anybody. There was a paper that I read several years ago. They talked about people with a certain enzyme, a liver enzyme that degrades caffeine, called the CYP1A2 enzyme. People can either be fast metabolizers of caffeine or slow metabolizers. The people that are fast metabolizers genetically, they do very well according to the literature for heart attacks. People that are slow metabolizers have an increased risk when they consume four cups or more. Do you have any comments on that at all? The British Medical Journal did something about that and they started looking at fast and slow metabolizers of caffeine. The assumption was if you’re a slow metabolizer of caffeine, caffeine stays in your body longer and therefore you should see more health benefits from the cup of coffee you drink. They did a very large study. It was tracked for over ten years, I think it was around 8,000 people over ten years and it has some amazing results. One of them is in terms of longevity. People who drink four cups of coffee a day live on average 16% longer and will have a 16% less chance of mortality in that ten-year time period. What they’ve also discovered is the caffeine had no effect on the longevity. They did it with decaf, they did it with fast metabolizers, slow metabolizers. It didn’t seem to have any effect on the increased longevity or lower risk of mortality in that period. That says it’s not the caffeine, it’s something else at work. What we believe and what it pointed to is the antioxidants in the coffee. What we’re doing is giving people the green light to drink the best coffee in the world. We’re looking for stuff that’s very low in pesticides, something that’s organic, something that’s been mold tested in the highest value of antioxidants in the world. Everybody’s running for the antioxidants. Everybody’s looking to take all the different supplements for antioxidants when you can get so much of that from the food, from the original source, and now we’re going to get it from the best place possible. Do I buy whole beans or do I buy pre-ground coffee? What’s the difference? I would say whole beans. The reason for that is coffee is a little bit like avocado or an apple. When it’s cut into, it starts to oxidize. You want to hit this thing called the rule of fifteen, which is green coffee that’s unroasted and lasts about fifteen months. Roasted coffee, you want to be drinking it within fifteen days, but ground coffee, fifteen minutes. We’ve done a ton of lab testing on coffee and how it oxidizes, and this is what’s interesting. If you drink coffee that’s over about fifteen to twenty days old, the whole bean coffee, you’re going to lose about 40% of the antioxidants in the coffee if it’s after fifteen to twenty days old. With ground coffee, it’s a matter of hours before you see a dramatic drop off in antioxidants because it stales very quickly. Just like eating an avocado that’s an hour old. It’s going to have a brown film on it. You lose the antioxidants. You have to ground your coffee as you use it. We make every decision based on health. That’s why we don’t sell ground coffee. I’m not sure our customers would love it. It would be more convenient, but we don’t want to offer anything that isn’t the very best for somebody’s health. You guys don’t sell the ground coffee. Me personally, I get the whole beans. What you’re saying is that from the time of the roasting process, the clock is ticking. Over at Purity, I order from you guys and it shows up at my door. How long ago was that roasted? When you place the order, it’s just in time roasting. We roast the very same day. It’s degassed the next day. There’s the degassing process with coffee. Then it’s shipped to you. It will probably take two to three days. You’re getting the coffee two to three days after roasting. All of our bags are nitrogen flushed. What that means is there’s a release valve in the bags. It means that there’s an inert gas in the bag and it stays fresh until you open the bag. The coffee’s fresh in the bag. You open the bag, you have about a fifteen-day, twenty-day count down from that period before it starts to stale. 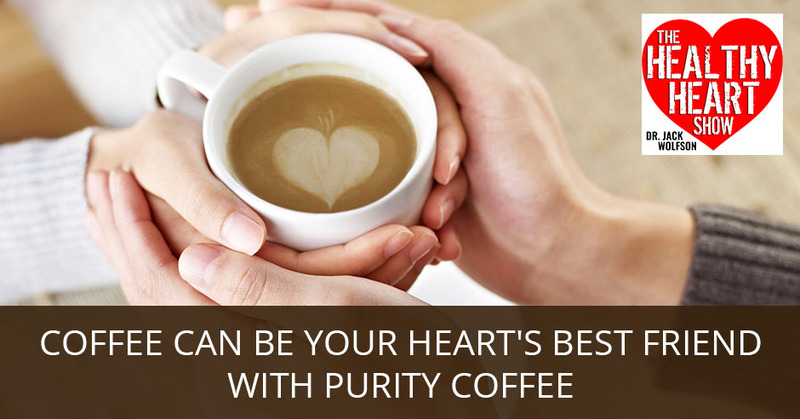 Purity Coffee: It is surprising that nobody is focusing on a coffee purely for health benefits. The fifteen-day window starts as soon as I open up that bag essentially is what you’re saying. That’s so important because so many people store their coffee, they grind up large amounts and they store it the wrong way. How about putting the ground coffee in the freezer or the whole beans in the freezer? Does the cold preserve that at all? We haven’t done testing on freezer versus just keeping it out of the sun. That’s something for a future project. What we’ve seen, at least in our discussions with experts, is it doesn’t seem to degrade in any way putting it in the freezer as long as it’s airtight. If you’ve got one of these vacuum sealing bags, that would be fantastic if you can put it in the freezer because then you have no staling of the coffee even in the bag. Let me ask you this. I don’t know if you still have a British passport, but since you gave up on tea and now drinks coffee, are you excommunicated from England or are you still in good graces over there? I don’t think I’m allowed back in the country. At least you can bring your coffee over there probably. Do you guys ship to the UK? We don’t, but we’ve got a number of customers who are going through the extra mile of getting it ordered in the US and then shipping it over on their own. When we’re a larger company and there’s enough demand, we’ll try and figure that out. For the moment it’s just the US. I definitely understand. Shipping overseas is so cost prohibitive. It’s something that we struggle with as a company as well. We have demand from all over. This is fantastic information. Anything else that maybe I missed that you would like to hit on? There was another very popular coffee that’s taken the world by storm and the organic grocers and that is Bulletproof Coffee. We’re here to educate people and we’re here to tell the truth, and maybe this is a one-sided argument because the other side isn’t here to defend itself. You are a tremendous expert. You deal with the experts as well from Vanderbilt in coffee, the PhDs, the doctors over there that are doing this. Tell me what’s different about you guys or tell me some of the issues with the common brand Bulletproof. The first thing I’d say is that Bulletproof and Dave Asprey have done a very good job about identifying the fact that there is mold in coffee and it should be a real consideration. I will say that they’re the first group that creates the audience who’s buying coffee based on health. For that reason, I think he’s done a phenomenal job. As a company, we’re focused on a few different things as well because we think it’s more than just molds. The first thing that we do is the coffee needs to be organic. It needs to be specially graded. It needs to be lab tested for antioxidants. We are picking the highest in antioxidants. All of those things Bulletproof doesn’t do. Also, our big focus is roasting the coffee to keep the antioxidants in the coffee. We’ve developed a roasting profile that maintains a high level of antioxidants in the coffee. I don’t think that’s in their value proposition. That’s not what they’re focused on, which is fine because they do lots of other things very well. I see Bulletproof more as a delivery system for fats. What their conversation is put good quality fats in coffee. It’s a great delivery system for fats. I think that’s a great message but just focus on coffee. There are few other things that they could do, including the freshness of the coffee which maintains the antioxidants. Tell me about the health benefits we can expect maybe from the medical literature? We talked about some of the cardiac stuff and the antioxidant potential. That greatly impacts coronary artery disease, hypertension, diabetes, brain health. What am I missing here? The most important thing, the starting point with coffee is that it’s the number one source of antioxidants in the American diet. If you’re a coffee drinker, you get more of your antioxidants from coffee than any other source. That’s the starting points and if you increase the amount of antioxidants, it’s probably one of the most convenient, easy adjustments you can make in your diet. Why you should write these adjustments? The really big well-researched studies that have been done, coffee and health, probably outlined three major categories. The first category is anything to do with liver health. Every cup of coffee you drink from the baseline, you have a 20% less chance of developing fatty liver, liver cirrhosis, or end-stage liver disease. Dr. Sanjiv Chopra, who’s the last dean of admission on Harvard Medical School is a liver surgeon and he’s on our advisory board. The reason he’s on our advisory board is he says that in 35 years as a liver surgeon, he’s never seen one patient with an end-stage liver disease that is a regular coffee drinker. That’s probably the most well-researched part of coffee. The second area to focus on is the prevention of type two diabetes. Because coffee is such a strong antioxidant, it reduces the risk of diabetes. People who drink three to five cups of coffee a day on average have about a 45% lower chance of ever contracting type two diabetes. This is a study that was done with 1,190,000 people tracked over 30 years. It was a very large well-research study that shows three to five cups of coffee have a 45% lower chance of getting type two diabetes. When you think that there are 24 million Americans who’ve got diabetes and there are 81 million Americans who are prediabetic, doing something right now to reduce your risk of diabetes is huge. The last area I would look at is anything to do with brain health. Apart from the heart, we should be looking at Alzheimer’s and Parkinson’s disease. There’s a very good study that shows that coffee drinkers have about 65% lower chance of ever developing Alzheimer’s. Given the fact that we’re all living longer. Alzheimer’s is one of the few diseases that’s on the increase. It’s interesting because as I see patients or I hear from patients and people from all around the world, people aren’t necessarily concerned about having a heart attack. They’re not even necessarily concerned about cancer. They’re not concerned about diabetes. What people are concerned about are dementia and stroke. That’s what gets people’s attention. When you tell them you’ve got a proposition, a product, food, a beverage that can lower the risk of those things, that’s absolutely tremendous. It is so convenient. What we focus on is the fact that 164 million Americans are going to get up tomorrow morning and drink a cup of coffee. They’re already doing this habit. It’s not telling somebody to do something that they’re not familiar with or it’s just a supplement they now need to take. It’s taking what they’re doing already and start to pay a little bit of attention to the quality of coffee they’re drinking. It’s probably one of the smallest adjustments you can make in your diet for the biggest impacts. Are these the same issues you would say you’ve got with Starbucks? At least Bulletproof we know is mold free. It’s been tested. Starbucks is just drinking the average garbage. Am I correct? The problem is the whole supply chain. It’s impossible for a company like Starbucks to provide organic coffee on mass. 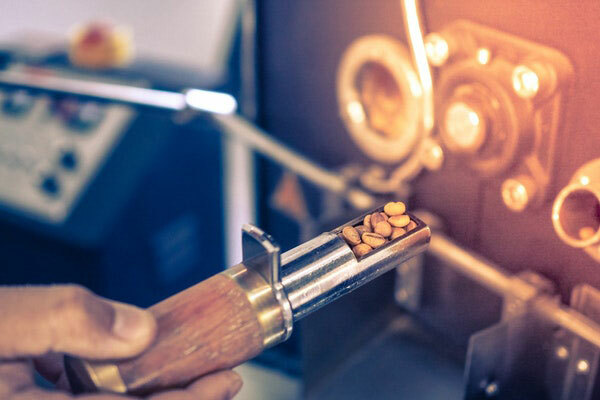 Even if they did, the value proposition, they’re roasting the coffee, they’re storing it in a central location, they’re shipping it to different locations. You’re drinking stale coffee. Even if you did, everything right up to that point where the coffee you were drinking was stale, that’s a problem. The second issue is that Starbucks has a challenge. They’re buying a natural food product which tastes different in different areas of the world. How do they make the coffee they drink in Singapore taste like the one in Seattle? The very best way to do that is to over roast the beans because if you’re drinking burnt coffee, it tastes burnt everywhere you go. That’s a way to make the taste uniform. Coffee in these places, Starbucks, Peet’s, are typically over roasted. The reason why that matters is that you have a dramatic drop off in antioxidants as you over roast coffee. That means that you’re losing a lot of the benefits. I have not had Starbucks coffee in years. There was the time, I’m sure you remember this as well, that you could get French Press at an individual Starbucks that had the organic coffee that was there. That is no longer an option. Over the years, I’ve grown to love that burnt flavor of it and I’ve always source that out, that burnt flavors. Now, what I do is I tend to add less water and more beans to make that fullest flavor if you will. That’s how I do it. I never give the evil empire any of my money. That being said, I can understand there are supply chains, there are limitations. I think the other issue with them if they kept the organic coffee around, people would say, “What’s the matter with the other coffee? If the organic is this, what else are you serving?” I can see from a business standpoint how they got rid of it. As you start focusing on the health benefits of coffee, the next natural question is all coffee created equal? The answer is no. You then have to focus on all the different parts of the supply chain and the corners of the cart to reduce costs. This is a big business that’s all about shaving pennies and increasing the margins. They’re not going to go to the legs that are necessary to go to in order to provide the coffee that has the maximum health benefits. How does Andrew Salisbury drink his coffee? Does he drink his coffee black? Does he add some raw cream to it from his local farm? How does Andrew do it? The first cup of coffee in the morning with my wife, we always do it in Bulletproof style. We have boxer and MCT oil. I liked the taste that way and it gives me a little bit of energy, but after that first cup, I go black coffee throughout the day. Tell me about the quality of the water. How important is the water you add? I think it’s important. It’s one of the parts of the chain that if you’ve got poor quality water, you’re going to lose a lot of the health benefits or you’re going to degrade some of the health benefits. I use very high alkaline water, but that’s just my preference. What kind of coffee maker do you use? It’s funny, the purists would laugh at what I use. I use an OXO coffee maker, which is a regular drip coffee maker. Occasionally, I use a Chemex pour over. It’s nothing sophisticated. It’s not the $10,000 coffee maker. I use a regular pour over. We had someone over at the house who is helping around the house and cleaning the house if you will. She broke my Chemex coffee pour over. That thing was $40 and it was a solid piece of glass and she broke it. That’s okay. She’s fantastic. She actually cut herself that required stitches. That wasn’t good. I don’t know if that’s maybe someone from above trying to tell me to cut back on my coffee intake. I love the Chemex because I heat up my water in a Salad Masters surgical stainless steel pots with our pristine hydro water. I pour it over the Chemex with the Chemex filters. This is chemical toxin-free as possible. I don’t know all the inner workings of the OXO or Mr. Coffee or whatever it may be, but I know they are plastic. I avoid plastic, especially with hot stuff. Maybe this is a good lesson for everybody else as well. Andrew give me some final words about what’s going on at Purity. Is anything new at Purity? Anything coming up on the horizon? We’re coming up with the decaf. Most of our customers have a sensitivity to coffee and so the decaf was a welcome version. People can drink it throughout the day and get more of their antioxidants. The big thing that we’re doing now is we’re trying to introduce very high standards for coffee that we hope will be adopted by other companies as well. We think that the standards should be something that every company looks at that wants to create coffee based on health. We published our standards, we published all our lab results on our page. The lab results are we tested the top 49 coffees around the world or in the US, that represents at least 85% of all the coffees that people drink. We tested it for chlorogenic acids, for molds and for pesticides. We’re the single highest source of antioxidants of any of the coffees. That’s a huge validation for us that all the effort that we’ve done has paid off. Not just in the way people feel and how they liked the coffee. Anecdotally, we get a lot of that. If you look at our site, we have 600 to 700 reviews about our coffee, which is phenomenal. The fact that we can prove the amount of antioxidants in our coffee is huge. Once again, Purity Coffee here with Andrew Salisbury. This has been tremendous information. We appreciate you having taken the time to be on the Healthy Heart Show. They can buy Purity Coffee. When you talk about the health benefits fundamentally, in the afternoon when you’re looking for that pick me up, you’re better off reaching for a Purity Coffee. You’re better off reaching for an organic green tea than some pastry or some high sugar bomb. Clearly, that’s going to be part of the benefit from these large observational studies that are going to show, “If you’re doing this, then you’re likely not doing the other.” That’s one thing. My grandmother, may she rest in peace, she was such a great coffee drinker. Then to assist those coffee drinkers, they had to invent the coffee cake. You don’t sell coffee cakes, do you? It’s a great idea. We’ve got some people who are helping us do some recipes and that sort of thing but it’s a good idea. My grandmother too. She smoked while she was drinking her coffee, smoking a cigarette, eating the coffee cake and she lived until 84 years young. Thank you, Andrew, for being on the Healthy Heart Show. It’s been a pleasure. We’ll see you next time. Andrew Salisbury was inspired to start Purity Coffee for this very reason. A few years ago, Andrew’s wife Amber began to experience debilitating fatigue. After living a normal, active life, she was now struggling to perform her daily activities. She would often go to sleep at 8 p.m. and wake up as exhausted as if she hadn’t slept at all. Doctors were stumped. Amber and Andrew were frustrated. Medical tests revealed nothing. The couple had been doing everything that healthy adults should: exercising regularly, eating healthy and organic foods, getting regular sleep, and drinking plenty of purified water. Nothing seemed to help. To get through the day, Amber began drinking copious amounts of coffee–a morning mug or two plus up to six k-cups a day! Andrew was concerned that her coffee drinking might be contributing to her health problems. After all, so much common-knowledge health advice includes cutting coffee out of our diets altogether to improve energy levels. But Amber had found something that worked for her, and she wasn’t giving it up without proof. So Andrew set out to discover whether a frequent coffee habit was helping or hindering her recovery. Fortunately, the couple got the opportunity to pick the brains of some of the world’s foremost experts from the Vanderbilt University Institute of Coffee Studies. What they learned shocked them.